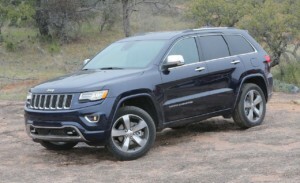 Tech Tips (by ALLDATA): Jeep rear hatch opens when shifted into reverse - AutoInc. Problem: The power lift gate (hatch) will intermittently unlock and open when shifted into Reverse. Details: First, the Tech-Assist consultant suggested using a scan tool to check the activation status in the power lift-gate module to confirm if module did receive a signal (from the handle switch, interior switch or key fob). It was receiving a signal to open the lift-gate from all sources. Next, the consultant suggested checking the BCM trunk release PID data. It was switching from pressed to not pressed on its own. The next step was to unplug all the door switches. The BCM was still receiving a signal to open. Confirmed Repair: The Tech-Assist consultant suggested opening the BCM for inspection. When he did, the tech found evidence of water intrusion and some corrosion on the circuit board. Replacing the BCM fixed this one.